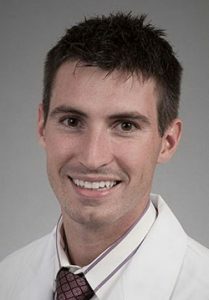 Dr. Burke spent one year as a fellow in ExtraCorporeal Life Support (ECLS) at Seattle Children’s Hospital (SCH) under fellowship director Dr. Michael McMullan, Professor in the Division of Cardiothoracic Surgery. The field of ECLS heavily influences all aspects of cardiothoracic surgery, and this program will helped Dr. Burke learn the clinical application of ECLS and develop understanding regarding the transformation of clinical needs into devices that improve patient outcomes. The fellowship involved both clinical and research components: Dr. Burke participated in the initiation and maintenance of ECLS at SCH, as well as oversaw related research projects in collaboration with Dr. McMullan. Dr. Flanagan completed two years as a fellow in the NIH-funded T32 program Cancer Epidemiology and Biostatistics Training, and received her Masters in Public Health in Epidemiology. Her interest in breast cancer epidemiology, specifically with regards to the pre-invasive breast cancer lesions, led her to work under the mentorship of Dr. Christopher Li, Professor of Epidemiology at the Fred Hutchinson Cancer Research Center and Dr. Sara Javid, Assistant Professor in the Division of General Surgery at the University of Washington. Dr. Flanagan’s research during this time included topics such as outcomes associated with treatment of pleomorphic lobular carcinoma in situ, adjuvant endocrine therapy use among patients with ductal carcinoma in situ, and associations between modifiable lifestyle factors and risk of second breast cancers among ductal carcinoma in situ survivors. She also has an interest in quality improvement and patient safety, and managed a UW Medicine Patient Safety Innovations Project grant that aimed to improve housestaff utilization of the inpatient electronic medical record problem list. She was recognized for her work in this area when she received a UW Medicine Patient Safety Hero Award in 2015. Dr. Flynn-O’Brien was a fellow in the NICHD-funded T32 Pediatric Injury Research Training Program for two years with faculty mentor Dr. Frederick Rivara, Professor in the Department of Pediatrics. Her research included the evaluation of the frequency and distribution of specific pediatric injuries domestically, the creation of a unique pediatric trauma database to evaluate processes of care and both mortality and non-mortality outcomes in critically injured children, the evaluation of pediatric surgical care provided during humanitarian emergencies, and the evaluation of physical violence against children in Haiti. She also was, and remains, an active member of the Pediatric Trauma Society’s guidelines committee, helping create evidence-based guidelines for early identification of child abuse. During her time as a research fellow, Dr. Flynn-O’Brien completed a Master of Public Health through the University of Washington’s Department of Epidemiology. While pursuing a clinical career in pediatric surgery, Dr. Flynn-O’Brien plans to continue to pursue a research career focused on pediatric trauma management and quality care outcomes, and the design and implementation of effective pediatric trauma programs. 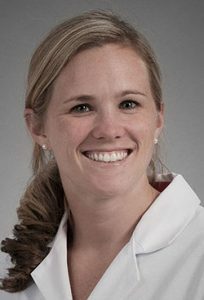 Dr. Flynn-O’Brien is a resident member of the Pediatric Trauma Society, the American Pediatric Surgical Association, the American Program Directors in Surgery, and the American College of Surgeons. Dr. Mesher spent his first research year as a clinical fellow in Extracorporeal Life Support (ECLS) at Seattle Children’s Hospital under fellowship director Dr. Michael McMullan, Professor in the Division of Cardiothoracic Surgery. In addition to learning the clinical skills necessary for an ECLS surgeon, Dr. Mesher was also productive on the research front. He authored or co-authored multiple peer-reviewed journal articles related to ECLS, was a sub-investigator on two on-going clinical trials, and help strengthen the simulation curriculum at Seattle Children’s. One of the most notable accomplishments during his fellowship was creation of a low-cost, realistic surgical simulator for training ECLS surgeons. During his second academic year, Dr. Mesher was a fellow in the Stanford Biodesign Innovation Program under the guidance of Dr. Tom Krummel and Dr. Paul Yock at Stanford University. The 12-month Biodesign curriculum was invaluable in cultivating Dr. Mesher’s background in biomechanical engineering by teaching the process of need-driven, value-based medical technology innovation. Working on a team with fellow surgeons and biomedical engineers, Dr. Mesher helped to develop a novel surgical device for improving the survival of arteriovenous fistulas and grafts for hemodialysis access which will start feasibility studies in summer 2015. 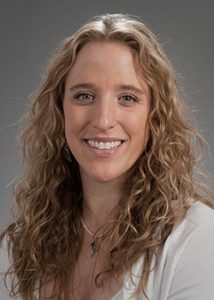 Dr. Richards spent three years as a research fellow at Seattle Children’s Hospital (SCH) where she worked with faculty mentor Dr. Adam Goldin, Associate Professor in the Division of Pediatric General Surgery. During her time as a fellow, she completed her Masters in Public Health at the University of Washington and acted as a clinical research fellow in the Department of Surgery at SCH. Her research focused primarily on the evaluation and improvement of outcomes in pediatric patients. 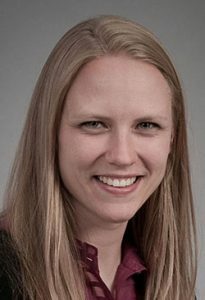 She has studied a wide variety of topics including the effects of a standardized pathway for gastrostomy placement, the impact of regionalized pediatric care on anesthesia outcomes, factors relating to readmission after a surgical inpatient stay and the effects of very advanced maternal age on birth outcomes. She is as a leader of the Safe and Sound campaign to improve the use and quality of ultrasound for the diagnosis of pediatric appendicitis. She has also worked with the National Cancer Data Base studying common adult cancers that are rare in children, and further examining the impact of regionalization of pediatric care nationally. Dr. Simianu was a trainee in the NIDDK-funded T32 fellowship in Gastrointestinal Surgical Outcomes Research from 2013-2015 under mentor Dr. David Flum, Professor in the Division of General Surgery, and received his Masters of Public Health from the University of Washington Department of Health Services during that time. 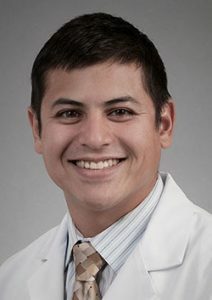 His research focused on addressing appropriateness of surgical care and decision-making in surgery, including focused work on indications, trends, and outcomes in colorectal surgery in Washington State. Dr. Simianu has presented this work at local and national meetings, including the American Surgical Association annual meeting in 2014. Additionally, Dr. Simianu’s work as part of a decision science collaborative at the University of Washington has tested new tools to measure behavior change and risk thresholds in healthcare providers, and was featured at the Surgical Outcomes Club annual meeting in 2014 and at the Patient-Centered Outcomes Research Institute Expert Panel Meeting on Medical Decision Making in 2015. Dr. Simianu is interested in pursuing a career in colorectal surgery and/or surgical oncology. 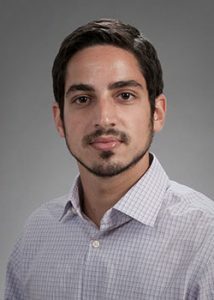 Dr. Sood completed a two-year research fellowship in the NIGMS-funded T32 Postdoctoral Fellowship in Trauma and Burns under the mentorship of T32 Principal Investigator Dr. Grant O’Keefe, and Dr. Nicole Gibran, Director of the UW Medicine Regional Burn Center. His research efforts centered on the biology of normal and pathologic wound healing, in particular post-burn hypertrophic scarring. During his first year, he developed an in vitro model for the study of hypertrophic scarring based on dermal fibroblasts from the red Duroc pig, and he helped to characterize the metabolomic profiles of healing cutaneous wounds. In his second year, Dr. Sood performed both candidate-gene and genome-wide analyses to identify several novel genetic risk factors associated with severity of post-burn scarring. He won second prize in 2014 and first prize in 2015 for his oral presentations at the UW Department of Surgery Schilling Research Symposium, and he won first prize in the Basic Science Division of the American College of Surgeons (ACS) Committee on Trauma Regional Competition. In addition, he has presented his work at a variety of national and international meetings, including at the American Surgical Association (ASA) 135th Annual Meeting in San Diego, California and the 17th Congress of the International Society for Burn Injuries (ISBI) in Sydney, Australia. He has authored a number of peer-reviewed articles that have been accepted for publication in journals such as Annals of Surgery, Journal of Investigative Dermatology, and Plastic and Reconstructive Surgery. Moving forward, Dr. Sood plans to pursue an academic career in reconstructive plastic surgery with a focus on translational research aimed at improving wound-healing outcomes.